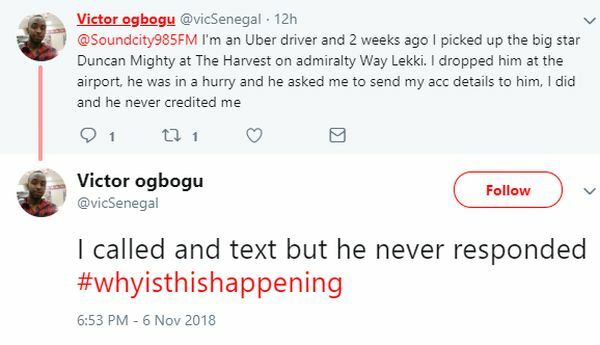 Victor Ogbogu, an Uber driver, has taken to twitter to call out singer Duncan Mighty who he took to the airport two weeks ago. According to Ogbogu, Duncan on getting to the airport, promised to transfer his bill to him as he claimed he did not have cash on him. 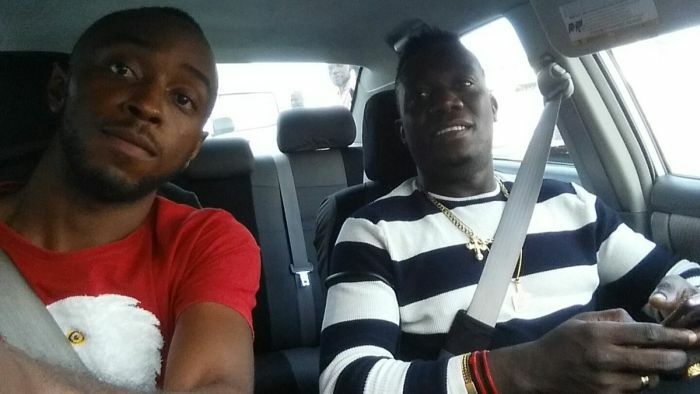 Victor says he has since sent his account details to Duncan with texts and calls, appealing for his money but the singer is yet to pay him. Duncan Mighty is yet to respond to his call out.